In this blog I’d like to bring together three different lines of educational analysis to show how our contemporary discussions of policy are really not going to lead to any significant change or educationally defensible reforms. I realise that is a very big call, but I’m pretty confident in saying it, and I hope to show why. Essentially I think we really need to change the way educational reform debates are framed, because they are based on questions that will not lead us to systemic improvement that I think most ‘stake-holders’ really seek in common. Before I launch into this discussion, though, I also need to point out that there are a host of related issues which really can’t be sufficiently addressed here, and which I won’t explain at all – but which I will name toward the end of this post. 3) this is the clincher, the systems that we have implemented are producing exactly that for which they were designed (where teacher professional judgement plays little or no part). The practical conclusion of bringing these observations together is obvious to me. We are never going to get that “systemic improvement” that we all seem to think will be good for Australia, because we don’t have the right system architecture to achieve it. I believe we need to start thinking more carefully and creatively about how our educational systems are designed. The hard part begins after sufficient numbers of stakeholders come to this realisation and want to shift the debates. We aren’t there yet, so for now I just want to open up this line of thought. The first starting point won’t be a surprise for readers of this blog, and followers of public educational policy pitches. On the one hand, anyone with Findlandia envy and followers of the recent statements from Pasi Sahlberg, now at UNSW’s Gonski Institute, will know that much of the strength of the ‘Finnish Education Mystery’ (as it has been named by Hannu Simola) has been built on a strong commitment to the professional autonomy and expertise of Finnish teachers. This isn’t simply accidental, but a consequence of a long understandable history that included (but isn’t only due to) careful and intelligent design by the Finnish Government. On the other hand, here in Australia, Associate Professor at the University of Sydney, Nicole Mockler, and her colleagues have aptly shown that teachers are more than interested in using evidence-based approaches to help guide their local decision, but their judgements are not really being supported by evidence they see as relevant and useful. My own analysis of this situation has led me to raise significant questions about the way in which advance technical issues of measurement and its statistical applications have been reduced to incorrect and really misleading uses, and the way in which the institutions which are supposed to promote teachers and teaching has reduced that exercise to classic institutional credentialism based on tick box exercises that really don’t reflect that which it claims. No matter how much politicians and other stakeholders might wish to create systems that guarantee this or that universal practice, student learning is always individual and in schools always dependent on whomever is guiding that learning (the same would apply to entirely automated systems, by the way). So the goal of designing systems based on the presumption that we can somehow specify practice to a point where there is no uncertainty in delivery, is folly. And yet, point two, these are precisely the sorts of education systems Australia has been building since at least the late 1980s. In broad terms this corresponds to the significant changes in educational governance known as ‘the ministerialisation of education’ documented by educational researchers Dr Janice Dudley and Professor Lesley Vidovich, long ago. It was in this time period where the penultimate attempt to nationalise curriculum developed, with the corresponding creation of national goals (the Hobart, Adelaide, Melbourne declarations), former civil servants were replaced by contracted ‘Senior Executives’ across federal and state bureaucracies, and teacher education was handed to the federally funded Universities alone (plus a range of massive shifts in TAFE). Since then it has been a long slow process of standardisation within and across state systems, the formation of ‘professional institutes,’ and the expansion of public funding to private schooling. The case for why these systems inhibit or actively work against the exercise of teachers’ professional judgement should be pretty obvious with the term ‘standardisation’. These days, national curriculum is designed with the intent of making sure children of the military can move around that nation and ‘get the same stuff,’ accountability is centrally developed and deployed via the least expensive forms, like NAPLAN (and an expanding host of supposedly valid measures), teaching has become regulated through standardising the people (at least on paper, via the ‘professional standards’), and securing employment and advancement has been directly tied to these mechanisms. Even measurement instruments originally designed only for research and later to help provide evidence for teachers’ use have become tick box instruments of surveillance. As a researcher I am not opposed to good measurement, and in fact I’ve created some of those being used in this larger schema, but how systems deploy them make huge differences. From the reports of the implementation of NAPLAN it is very clear (as was predicted by then opponents) that many of these have become much more high stakes than advocates predicted or intended (opponents were right about this one). Whether it be novice teachers beholden to developing paper work ‘evidence’ of standards for their job security through to executives whose jobs depend on meeting Key Performance Indicators (which are themselves abstracted from actual effect), we have developed systems of compliance within institutes in which real humans play roles that are pre-defined and largely circumscribed. And those who readily fit them without too much critique fill these roles. One bit of historical memory: in the late 1970s and early 1980s, this process of moving the intellectual (‘mental’) work of teachers into standardised categories defined by management was shown to have a long term effect known as ‘de-skilling.’ From our work in the New Basics Trial in Queensland (which was actually much more successful than most realise) it has been very clear that what once were wide spread teacher capacities in local curriculum design and development have been forfeited to (extremely well paid) bureaucrats. When I met the teachers who took part in the early 1990s National Schools Project (in 1993 and 1994), state differences on this were really obvious and relevant. When teachers were invited to restructure any aspect of their work to improve student learning, through an overt agreement between the Unions and employers, teachers from states where there were strong traditions of local curriculum development and pedagogical reflection (most obviously Victoria and South Australia) were squarely focused on trying to find ways of providing rich educational experiences for their students (curriculum, pedagogy were their mainstay). Teachers from the state that has provided the basic structure of our current systems (NSW) were largely concerned about timetables and budgets. Of course this is a very big generalisation, but it is also obvious when you work with teachers in schools developing new curriculum projects. What is the effect of all this? Precisely as intended, the systems are standardised, stratified, countable and a ready source of ‘evidence’ used to meet the needs of the politicians and ‘independent’ stakeholders, and advancing employees who probably actually believe in the reforms and initiatives they advocate. But let’s be honest, these actors are not around after they have used the political capital gained from initiating their pet projects. Here is where there are hosts of other developments that buttress this larger system which need further analysis and elaboration than I can provide here. From the expansion of testing measures based on statistical assumptions few teachers and principals and fewer parents really know well (they aren’t taught them), to professional development schemes based on market determined popularity, to pre-packaged curriculum and apps literally sold as the next silver-bullet, contemporary ‘texts’ of education carry far more implications than the ones named by those selling them. There are the huge range of ideas and presumptions that lie behind those sales pitches. Of course some teachers sometimes blindly seek these out in the hope of finding new ideas and effective practices. Teachers’ dispositions and capacities have not come from nowhere, they are the historical product of this system. But who is going to blame them (or the bureaucrats, for that matter) when they rightfully focus on making sure they have a job in that system so they can support their own children and parents? Yes, we have systems we created. On the one hand, that’s not encouraging. On the other hand, that does mean that we can re-create them into something quite different. Research and the categories of analysis CAN provide clear ideas about what has occurred in the past (with all the necessary qualifications about when, where, measured how) but those answers should never be the basis for systems to prescribe what teachers are supposed to do in any given individual event or context. For example, diagnostic testing can be incredible useful for teachers, but they can’t tell teachers what to do, with whom, when. Do we have systems that support teachers in taking the next step in their decisions about which students need what support at what time, while knowing what those tests actually measure, with what margin of error, in what contexts for whom? The question for systems designs isn’t what’s ‘best practice’, it’s what system increases the probability of teachers making wise and compassionate decisions for their students in their context at the appropriate time. That includes making judgements relative to what’s happening in our nation, economy and in the larger global transformations. Our systems, in the pursuit of minimising risk, are very good as proscribing what teachers’ shouldn’t do; but, they are not designed to support teachers to wisely exercise the autonomy they need to do their jobs in a manner that demonstrates the true potential of our nation. We can see that potential in the all too rare events in which our students and teachers are given that sort of support – often on the backs of incredibly dedicated and professional teachers and school leaders. From local innovative uses of technology, to large scale performances in the arts, the potential of Australian educators isn’t really hard to find. But we need new systems to support them in doing more of that type of work, with more students, more of the time. So when it comes to advocating this or that system reform, please, change the focus. We don’t need more ‘best practice’ policies from vested interests, to discipline our teachers, we need systems designed to promote true, authentic excellence in education. You know there is something going wrong with Australia’s national testing program when the education minister of the largest state calls for it to be axed. The testing program, which started today across the nation, should be urgently dumped according to NSW Education Minister, Rob Stokes, because it is being “used dishonestly as a school rating system” and that it has “sprouted an industry that extorts money from desperate families”. I think it should be dumped too, in its current form, but for an even more compelling reason than Stokes has aired. I believe we are not being honest with parents about how misleading the results can be. The Federal Minister for Education, Simon Birmingham, has rejected the NSW minister’s call, of course, arguing that “parents like NAPLAN”. Birmingham is probably right. Many parents see NAPLAN scores as one of the few clear indications they get of how their child’s performance at school compares to other children. Parents receive a NAPLAN student report showing their child’s score as dots on a band, clearly positioned in relation to their school average and national average. It all looks very precise. But how precise are the NAPLAN results? Should parents, or any of us, be so trusting of the results? There is considerable fallout from the reporting of NAPLAN results, so I believe it is important to talk about what is going on. The comparisons we make, the decisions we make, and the assumptions we make about those NAPLAN results can all be based on very imprecise data. While communication of results to parents suggests a very high level of precision, the technical report issued by ACARA each year suggests something quite different. Professor Margaret Wu, a world leading expert in educational measurement and statistics, has done excellent and sustained work over a number of years on what national testing data can (and can’t) tell us. Her work says that because of the relatively small number of questions asked in each section of NAPLAN tests, that are then used to estimate a child’s performance for each (very large) assessment area, there is a lot of what statisticians call ‘measurement error’ involved. This means that while parents are provided with an indication of their child’s performance that looks very precise, the real story is quite different. Figure A is based on performance on the 2016 Year 7 Grammar and Punctuation test: in this case, the student has achieved a score of 615, placing them in the middle of Band 8. We can see that on the basis of this, we might conclude that they are performing above their school average of about 590 and well above the national average of 540. Furthermore, the student is at the cut-off of the 60% shaded area, which means their performance appears to be just in the top 20% of students nationally. However, Figure B tells a different story. Here we have the same result, with the ‘error bars’ added (using the figures provided in the 2016 NAPLAN Technical Report, and a 90% Confidence Interval, consistent with the MySchool website). The solid error bars on Figure B indicate that while the student has received a score of 615 on this particular test, we can be 90% confident on the basis of this that their true ability in grammar and punctuation lies somewhere between 558 and 672, about two bands worth. If we were to use a 95% confidence interval, which is the standard in educational statistics, the span would be even wider, from 547 to 683 – this is shown by the dotted error bars. In other words, the student’s ‘true ability’ might be very close to the national average, toward the bottom of Band 7, or quite close to the top of Band 9. That’s a very wide ‘window’ indeed. The problem is school NAPLAN results are published on the MySchool website. Major decisions are made based on them and on the information parents get in their child’s individual report; parents can spend a lot of money (tutoring, changing school, choosing a school) based on them. As Minister Stokes said a big industry has developed around selling NAPLAN text books, programs and tutoring services. But the results we get are not precise. The precision argument just doesn’t hold. Don’t fall for it. Any teacher worth their salt, especially one who hadn’t felt the pressure to engage in weeks of NAPLAN preparation with their students, would be far more precise than any dot on a band, in assessing their students’ ability. Teachers continually assess their students and continually collect substantial evidence as to how their students are performing. Research also suggests that publishing the NAPLAN results on the MySchool website has played a driving role in Australian teachers and students experiencing NAPLAN as ‘high stakes’. So is NAPLAN good for anything? At the national level, however, the story is different. What NAPLAN is good for, and indeed what it was originally designed for, is to provide a national snapshot of student ability, and conducting comparisons between different groups (for example, students with a language background other than English and students from English-speaking backgrounds) on a national level. This is important data to have. It tells us where support and resources are needed in particular. But we could collect the data we need by using a rigorous sampling method, where a smaller number of children are tested (a sample) rather than having every student in every school sit tests every two years. This a move that would be a lot more cost effective, both financially and in terms of other costs to our education system. So, does NAPLAN need to be urgently dumped? Our current use of NAPLAN data definitely does need to be urgently dumped. We need to start using NAPLAN results for, and only for, the purpose for which they are fit. I believe we need to get the individual school results off the MySchool website for starters. That would quite quickly cut out much of the hype and anxiety. I think it is time, at the very least, to be honest with parents about what NAPLAN does and doesn’t tell them about their children’s learning and about their schools. In the process we might free up some of that precious classroom time for more productive things than test preparation. *With thanks to A/Prof James Ladwig for his helpful comments on the draft of this post. Dr Nicole Mockler is an Associate Professor in Education at the University of Sydney. She has a background in secondary school teaching and teacher professional learning. In the past she has held senior leadership roles in secondary schools, and after completing her PhD in Education at the University of Sydney in 2008, she joined the University of Newcastle in 2009, where she was a Senior Lecturer in the School of Education until early 2015. Nicole’s research interests are in education policy and politics, professional learning and curriculum and pedagogy, and she also continues to work with teachers and schools in these areas. An academic‘s job is, quite often, to name what others might not see. Scholars of school reform in particular are used to seeing paradoxes and ironies. The contradictions we come across are a source of intellectual intrigue, theoretical development and at times, humour. But the point of naming them in our work is often a fairly simple attempt to get policy actors and teachers to see what they might not see when they are in the midst of their daily work. After all, one of the advantages of being in ‘the Ivory Tower’ is having the opportunity to see larger, longer-term patterns of human behaviour. This blog is an attempt to continue this line of endeavour. Here I would like to point out some contradictions in current public rhetoric about the relationship between educational research and schooling – focusing on teaching practices and curriculum for the moment. By now we have all seen repeated calls for policy and practice to be ‘evidence-based’. On the one hand, this is common sense – a call to restrain the well-known tendency of educational reforms to fervently push one fad after another, based mostly on beliefs and normative appeals (that is messages that indicate what one should or should not do in a certain situation). And let’s be honest, these often get tangled in party political debates – between ostensible conservatives and supposed progressives. The reality is that both sides are guilty of pushing reforms with either no serious empirical bases or half-baked re-interpretation of research – and both claiming authority based on that ‘research.’ Of course, not all high quality research is empirical – nor should it all be – but the appeal to evidence as a way of moving beyond stalemate is not without merit. Calling for empirical adjudication or verification does provide a pathway to establish more secure bases for justifying what reforms and practices ought to be implemented. There are a number of ways in which we already know empirical analysis can now move educational reform further, because we can name very common educational practices for which we have ample evidence that the effects of those practices are not what advocates intended. For example, there is ample evidence that NAPLAN has been implemented in a manner that directly contradicts what some of its advocates intended; but the empirical experience has been that NAPLAN has become far more high-stakes than intended and has carried the consequences of narrowing curriculum, a consequence its early advocates said would not happen. (Never mind that many of us predicted this. That’s another story.) This is an example of where empirical research can serve the vital role of assessing the difference between intended and experienced results. So on a general level, the case for evidence-based practice has a definite value. But let’s not over-extend this general appeal, because we also have plenty of experience of seeing good research turn into zealous advocacy with dubious intent and consequence. The current over-extensions of the empirical appeal have led paradigmatic warriors to push the authority of their work well beyond its actual capacity to inform educational practice. Here, let me name two forms of this over-extension. Take the contemporary appeal to summarise studies of specific practices as a means of deciphering which practices offer the most promise in practice. (This is called a ‘synthetic review’. John Hattie’s well-known work would be an example). There are, of course, many ways to conduct synthetic reviews of previous research – but we all know the statistical appeal of meta-analyses, based on one form or another of aggregating effect sizes reported in research, has come to dominate the minds of many Australian educators (without a lot of reflection on the strengths and weaknesses of different forms of reviews). So if we take the stock standard effect size compilation exercise as authoritative, let us also note the obvious constraints implied in that exercise. First, to do that work, all included previous studies have to have measured an outcome that is seen to be the same outcome. This implies that outcome is a) actually valuable and b) sufficiently consistent to be consistently measured. Since most research that fits this bill has already bought the ideology behind standardised measures of educational achievement, that’s its strongest footing. And it is good for that. These forms of analysis are also often not only about teaching, since the practices summarised often are much more than just teaching, but include pre-packaged curriculum as well (e.g. direct instruction research assumes previously set, given curriculum is being implemented). Now just think about how many times you have seen someone say this or that practice has this or that effect size without also mentioning the very restricted nature of the studied ‘cause’ and measured outcome. Simply ask ‘effect on what?’ and you have a clear idea of just how limited such meta-analyses actually are. Also keep in mind what this form of research can actually tell us about new innovations: nothing directly. This last point applies doubly to the now ubiquitous calls for Randomised Control Trials (RCTs). By definition, RCTs cannot tell us what the effect of an innovation will be simply because that innovation has to already be in place to do an RCT at all. And to be firm on the methodology, we don’t need just one RCT per innovation, but several – so that meta-analyses can be conducted based on replication studies. This isn’t an argument against meta-analyses and RCTs, but an appeal to be sensible about what we think we can learn from such necessary research endeavours. Both of these forms of analysis are fundamentally committed to rigorously studying single cause-effect relationships, of the X leads to Y form, since the most rigorous empirical assessment of causality in this tradition is based on isolating the effects of everything other than the designed cause – the X of interest. This is how you specify just what needs to be randomised. Although RCTs in education are built from the tradition of educational psychology that sought to examine generalised claims about all of humanity where randomisation was needed at the individual student level, most reform applications of RCTs will randomise whatever unit of analysis best fits the intended reform. Common contemporary forms of this application will randomise teachers or schools in this or that innovation. The point of that randomisation is to find effects that are independent of the differences between whatever is randomised. The point of replications is to mitigate against known human flaws (biases, mistakes, etc) and to examine the effect of contexts. This is where our language about what research ‘says’ needs to be much more precise than what we typically see in news editorials and twitter. For example, when phonics advocates say ‘rigorous empirical research has shown phonics program X leads to effect Y’, don’t forget the background presumptions. What that research may have shown is that when phonics program X was implemented in a systemic study, the outcomes measured were Y. What this means is that the claims which can reasonably be drawn from such research are far more limited than zealous advocates hope. That research studied what happened, not what will happen. More importantly, such studies cannot say anything about whether or not reform X can actually be implemented with sufficient ‘fidelity’ to expect the intended outcome. This reality is precisely why researchers seeking the ‘gold standard’ of research are now producing voluminous ‘fidelity of implementation’ studies and instruments. The Gates Foundation has funded many of these in the US, and I see intended publications from them all the time in my editorial role. Essentially fidelity of implementation measures attempt to estimate the degree to which the new program has been implemented as intended, often by analysing direct evidence of the implementation. Each time I see one of these studies, it begs the question: ‘If the intent of the reform is to produce the qualities identified in the fidelity of implementation instruments, doesn’t the need of the fidelity of information suggest the reform isn’t readily implemented?’ And why not use the fidelity of implementation instrument itself if that’s what you really think has the effect? For a nice critique and re-framing of this issue see Tony Bryk’s Fidelity of Implementation: Is It the Right Concept? This is where the overall structure of the current push for evidence-based practices becomes most obvious. The fundamental paradox of current educational policy is that most of it is intended to centrally pre-determine what practices occur in local sites, what teachers do (and don’t do) – and yet the policy claims this will lead to the most advanced, innovative curriculum and teaching. It won’t. It can’t. What it can do is provide a solid basis of knowledge for teachers to know and use in their own professional judgements about what is the best thing to do with their students on any given day. It might help convince schools and teachers to give up on historical practices and debates we are pretty confident won’t work. But what will work depends entirely on the innovation, professional judgement and, as Paul Brock once put it, nous of all educators. James Ladwig is Associate Professor in the School of Education at the University of Newcastle and co-editor of the American Educational Research Journal. He is internationally recognised for his expertise in educational research and school reform. Find James’ latest work in Limits to Evidence-Based Learning of Educational Science, in Hall, Quinn and Gollnick (Eds) The Wiley Handbook of Teaching and Learning published by Wiley-Blackwell, New York (in press). National Evidence Base for educational policy: a good idea or half-baked plan? The recent call for a ‘national education evidence base’ by the Australian Government came as no surprise to Australian educators. The idea is that we need to gather evidence, nationally, on which education policies, programs and teaching practices work in order for governments to spend money wisely on education. There have long been arguments that Australia has been increasing its spending on education, particularly school education, without improving outcomes. We need to ‘get more bang for our buck’ as Education Minister, Simon Birmingham, famously told us or as the Australian Productivity Commission put it, we need to ‘improve education outcomes in a cost‑effective manner’. I am one of the many educators who submitted a response to the Australian Productivity Commission’s national education evidence base proposal as set out in the draft report ‘National Education Evidence Base’. This blog post is based on my submission. Submissions are now closed and the Commission’s final report is due to be forwarded to the Australian Government in December 2016. Inherent in the argument for a national education evidence base are criticisms of current educational research in Australia. As an educational researcher working in Australia this is the focus of my interest. Here I will address five points raised in the report as follows: 1) the extent to which there is a need for better research to inform policy, 2) the nature of the needed research, 3) the capacity needed to produce that research, 4) who the audience of that research should be. As the report notes, there are several aspects of ongoing educational debate which could well be better advanced if a stronger evidence base existed. Examples of ongoing public educational debates are easily identified in Australia, most notably being the perpetual literacy wars. In a rational world, so the report seems to suggest, such debate could well become a thing of the past if only we had strong enough research to settle them. To me, this is a laudable goal. However, such a standard position is naive in its assessment of why these debates are in fact on-going, and more naive in proposing recommendations that barely address any but the most simplistic reasons for the current situation. For example, whatever the current state of literacy research, the report itself demonstrates that the major source of these debates is not actually the research that government directed policy agents decide to use and interpret, but the simple fact there is NO systemic development of research informed policy analysis which is independent from government itself in Australia. The introductory justification for this report, based loosely on a weak analysis of a small slice of available international comparative data demonstrates clearly how government directed research works in Australia. As an editor of a top ranking educational research journal (the American Educational Research Journal) I can confidently say this particular analysis would not meet the standards of our highest ranked research journals because it is apparently partial, far from comprehensive and lacking in its own internal logic. It is a very good example of the very sort of research use away from which the report claims to want to move. The report makes much of the need for research which tests causal claims (a claim of the form “A was a cause of B”) placing high priority on experimental and quasi-experimental design. This portion of the report simply sums up arguments about the need for of the type of research in education promoted as ‘gold-standard’ more than a decade ago in the USA and UK. This argument is in part common-sense. However, it is naïve to make presumptions that such research will provide what policy makers in Australia today need to develop policy. Comparisons are made between research in education and research in medicine for a variety of sensible reasons. However the implications of that comparison are vastly unrecognized in the report. c) the degree to which educational practices are transportable across national and cultural differences is far less than that confronted by doctors whose basic unit of analysis is the human body. Just at a technical level, while the need for randomised trials is identified in the report, there are clearly naïve assumptions about how that can actually be done with statistically validity that accounts for school level error estimations and the subsequent need for large samples of schools. (Individual level randomisation is insufficient.) Thus, the investment needed for truly solid evidence-based policy research in education is dramatically under-estimated in the report and most public discussions. The report does well to identify a substantial shortage of Australia expertise available for this sort of research, and in the process demonstrates two dynamics which deserve much more public discussion and debate. First, there has been a trend to relying on disciplines outside of education for the technical expertise of analyzing currently available data. While this can be quite helpful at times, it is often fraught with the problems of invalid interpretations, simplistic (and practically unhelpful) policy recommendations which fail to take the history of the field and systems into account, and over-promising future effects of following the policy advice given. Second, the report dramatically fails to acknowledge that the current shortage of research capacity is directly related to the manner and form of higher education funding available to do the work needed to develop future researchers. There is the additional obvious issue of a lack of secure career development in Australia for educational researchers. This, of course, is directly related to the previous point. While the report is clearly directed to developing solid evidence for policy-makers, it understates the need for that research to also provide sufficient reporting to a broader public for the policy making process. By necessity this involves the development of a much larger dissemination infrastructure than currently exists. At the moment it would be very difficult for any journalist, much less any member of the general public, to find sound independent reports of larger bodies of (necessarily complicated and sometimes conflicting) research written for the purposes of informing the public. Almost all of the most independent research is either not translated from its scholarly home journals or not readily available due to restrictions in government contracts. What is available publicly and sometimes claims to be independent is almost always conducted with clear and obviously partial political and/or self- interest. The reason this situation exists is simply that there is no independent body of educational research apart from that conducted by individual researchers in the research projects conducted with the independent funding of the ARC (and that is barely sufficient to its current disciplinary task). Finally I think perhaps the most important point to make about this report is that it claims to want to develop a national evidence base for informing policy, but the proposed governance of that evidence and research is entirely under the same current government strictures that currently limit what is done and said in the name of educational policy research in Australia. That is, however much there is a need to increase the research capacities of the various government departments and agencies which currently advise government, all of those are beholden to currently restrictive contracts, or conducted by individuals who are obligated to not publicly open current policy to public criticism. By definition this means that public debate cannot be informed by independent research under the proposed governance for the development of the proposed national evidence base. This is a growing trend in education that warrants substantial public debate. With the development of a single curriculum body and a single institute for professional standards, all with similarly restricted governance structures (just as was recently proposed in the NSW review of its Board of Studies), the degree to which alternative educational ideas, programs and institutions can be openly developed and tested is becoming more and more restricted. Given the report’s desire to develop experimental testing, it is crucial to keep in mind that such research is predicated on the development of sound alternative educational practices which require the support of substantial and truly independent research. Does improved student attendance lead to improved student achievement? Join prime ministers, premiers and education ministers from all sides of politics if you believe it does. They regularly tell us about the need to “improve” or “increase” attendance in order to improve achievement. We recently had unprecedented access to state government data on individual school and student attendance and achievement in over 120 schools (as part of a major 2009-2013 study of the reform and leadership of schools serving Indigenous students and communities) so we decided to test the widely held assumption. What we found is both surprising and challenging. The overall claim that increased attendance is linked with improved achievement seems like common sense. It stands to reason that if a student attends more, s/he is more likely to perform better on annually administered standardised tests. The inverse also seems intuitive and common sensical: that if an individual student doesn’t attend, s/he is less likely to achieve well on these conventional measures. But sometimes what appears to make sense about an individual student may not factually hold up when we look at the patterns across a larger school or system. In our research we were studying background patterns on attendance and achievement using very conventional empirical statistical analysis. What we found in first up was that, whatever else we may hope, school level attendance rates generally don’t change all that much. Despite officially supported policies and high profile school and regional foci, schools making big improvement in attendance rates are the exception, and are very rare. Further, we found, the vast majority (around 76%) of the level of school attendance empirically is related to geographic remoteness, the percentage of Indigenous kids, and levels of socio-economic marginalisation. These are matters that for the most part are beyond the purview of schools and systems to change. Most importantly and most surprisingly, we found there is no relationship between school attendance and school level NAPLAN results. This is the case whether you are looking at overall levels and rates of change or the achievement of specific groups of Indigenous and non-Indigenous students. The particular policy story that improved attendance will improve or bootstrap conventional achievement has no basis in fact at a school level. The policy making and funding that goes into lifting attendance rates of whole schools or systems assumes erroneously that improvements in achievement by individual students will logically follow. The bottom line is you can’t simply generalise an individual story and apply it to schools. The data shows this. Further, and this is important in current reform debates, we observed that the very few schools with high percentages of Indigenous children that both increased attendance and achievement also had implemented significant curriculum and teaching method reforms over the same period examined. In other words, attending school may or may not help generally, but improving achievement depends on what children do once we get them to school. In our view, there is no short cut around the need for substantial ongoing reforms of curriculum and teaching methods and affiliated professional development for teachers. Building quality teaching and learning relations are the problem and the solution – not attendance or testing or accountability policies per se. James Ladwig is an Associate Professor in the School of Education at the University of Newcastle and Adjunct Professor in the Victoria Institute of Victoria University. He is internationally recognised for his expertise in educational research and school reform. 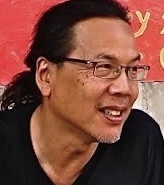 Allan Luke is Emeritus Professor in the ‎Faculty of Education at the Queensland University of Technology and Adjunct Professor in the Werklund School of Education, University of Calgary, Canada, where he works mentoring first nations academics. He is an educator, researcher, and theorist studying multiliteracies, linguistics, family literacy, and educational policy. Dr. Luke has written or edited over 14 books and more than 140 articles and book chapters. Here is the full article: Does improving school level attendance lead to improved school level achievement? An empirical study of indigenous educational policy in Australia.